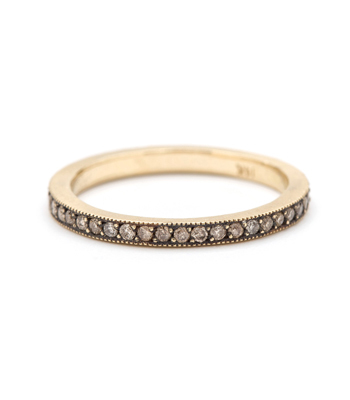 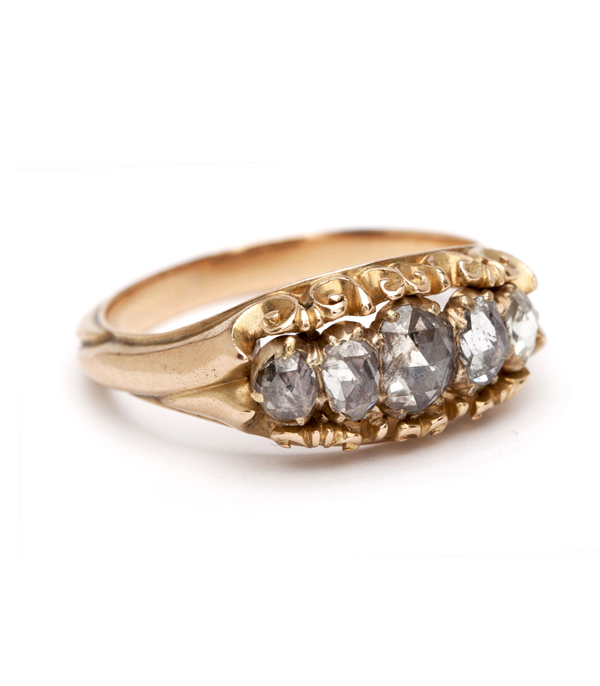 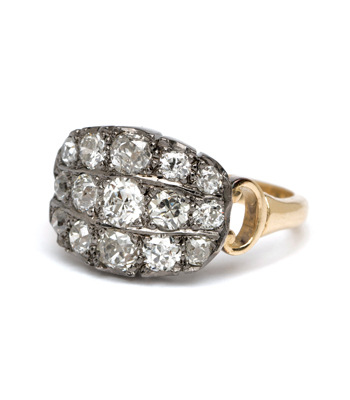 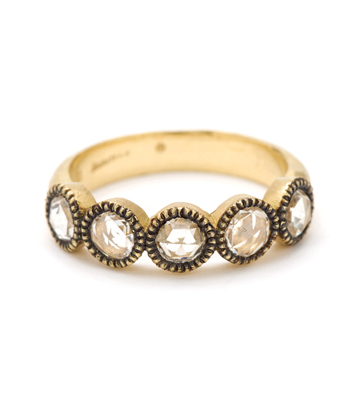 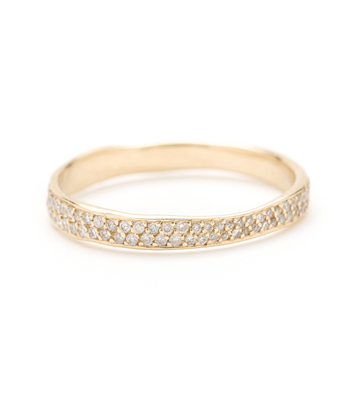 Understated yet luxurious, this unique ring is an exquisite example of Victorian splendor. 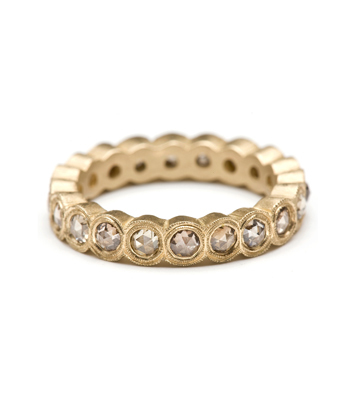 Five foil backed rose cut diamonds are enveloped in a fluid 14K rose gold design. 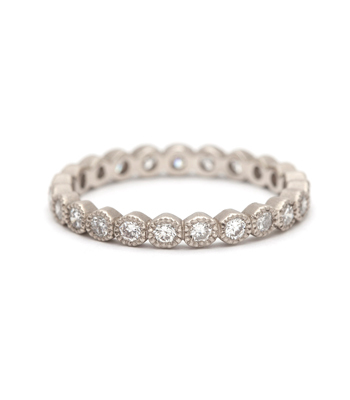 A stunning addition to your favorite stack or flawless on its own, this quiet beauty adds a spark of timeless elegance to any occasion. 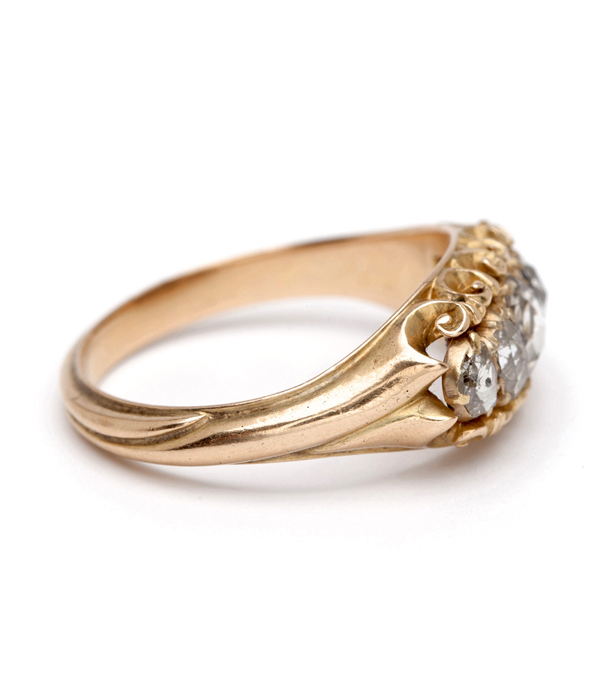 Categories: Antique Diamonds, Stacking Rings, Victorian Jewelry, Vintage Engagement Rings, Vintage Rings, Vintage Romantic.